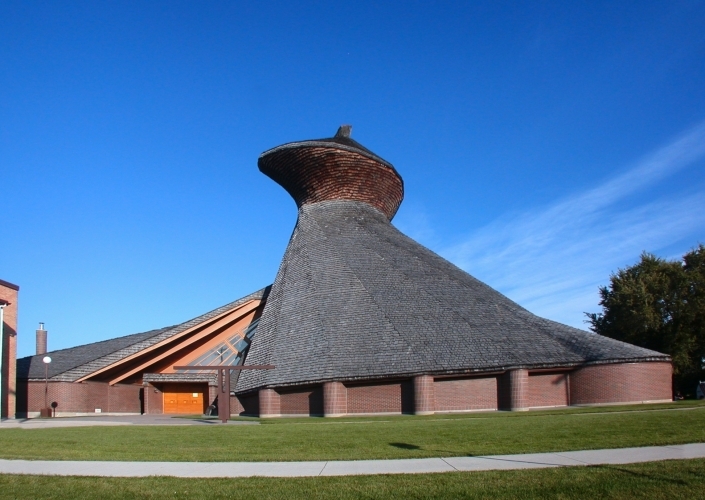 The remarkable spiral design of this major work by Franco-Manitoban architect Étienne Gaboury makes the church a remarkable sight to behold. The shape of the roof is intended to represent the skyward movement of the church community towards God. Inside, the altar below invites the faithful to worship in unison with the priest. The architect faithfully applied the spiral concept as well as that of upward movement to the interior as well as the exterior of the structure. Monday to Wednesday: 8:30 a.m. to 12 p.m.
Thursday & Friday: 8 a.m. to 12 p.m. & 2 p.m. to 4 p.m.
For a visit of the church, please contact the presbytery ahead of planned arrival time.